Victor William Marshall, 74, of Chapel Hill passed away on August 18, 2018, following a lengthy battle with prostate cancer. Victor was Professor Emeritus of Sociology at UNC-Chapel Hill and former director of the University’s Institute on Aging. Victor earned his B.A. from the University of Calgary and his PhD in Sociology from Princeton University. 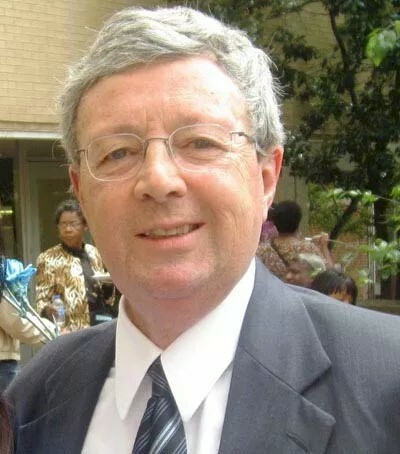 He began his academic career as Assistant Professor at McMaster University in 1970. In 1981, he joined the Department of Behavioral Science at the University of Toronto where he also became Director of the Center on Aging and head of the Canadian Aging Research Network. In 1999, Victor moved to UNC Chapel Hill as a Professor of Sociology and Director of the UNC Institute on Aging. Throughout his career Victor worked internationally with scholars in the U.S., Canada, Australia and Europe. Victor’s research focused on structural changes in the nature of work and their consequences for workers over the life course; work and retirement of Canadian Forces veterans; international comparisons of workforce aging in the Information Technology sector, and the global impact of workforce aging on a variety of social and health outcomes. He published broadly in the areas of social theory particularly focused in studies of aging and the life course. Victor held a number of executive positions in the field of aging, including Vice-President of the Canadian Association on Gerontology, Executive Committee of the International Association on Gerontology, leadership positions with the Gerontological Society of America and service to American Sociological Association. He was editor of the Canadian Journal on Aging and served on numerous editorial boards including Social Forces, Journal of Gerontology, Social Sciences and Journal of Aging and Health. He chaired the Gerontological Advisory Council for Veterans Affairs Canada for 13 years and continues in an advisory capacity. He also served on the International Advisory Committee of the LIVES project on Vulnerability and the Life Course, at the University of Lausanne, Switzerland. Victor received many awards for his contributions to building the field of gerontology. He received Queen Elizabeth II Jubilee Medals in 2002 and 2012. His work in bringing stakeholders together as Chair of the Gerontological Advisory Committee at Veterans Affairs Canada resulted in a Commendation from the Minister in 2013. Victor was active in the Canadian Association on Gerontology and the Gerontological Society of America, receiving Mentor awards from both. The Southern Gerontological Society gave Victor the GRITS Award, which recognizes outstanding gerontologists rooted in the South and has named a new honor – the Victor W. Marshall Fellow in Applied Gerontology. This designation is meant to recognize SGS members from all aspects of gerontology who have made substantive contributions in gerontology that demonstrate excellence in at least two of the following areas: provision of care, collaborative agenda setting, research and scholarship, mentoring of gerontologists, public service, teaching and mentoring, and advocacy and service to older adults. Victor’s extensive publications include landmark works, such as two editions of Aging in Canada: Social Perspectives, that defined the field of aging scholarship in Canada. As a sociologist, Victor steadfastly applied both theoretical and methodological rigor in his studies of aging and the life course. His work will continue in the research being conducted by the many graduate students, postdoctoral fellows, and colleagues that he mentored throughout his career. Born April 11, 1944 in Calgary, Canada to Victor George Marshall and Esther Adeline Donlevy, Victor is survived by his wife, Joanne Gard Marshall; his daughter, Emily Gard Marshall, son-in-law Christopher Lawrence Oliver, and his siblings, Judith Hamilton (Bill), John J. Marshall (Carol) and Paul D. Marshall (June). Victor was an avid reader who enjoyed traveling, writing, and spending time with family and friends, particularly with a fine single-malt Scotch in hand. He was brilliant, fun-loving and caring, a wonderful husband, father, colleague, mentor and friend who was dedicated to his work in the field of aging. He was deeply loved and will be greatly missed. A celebration of life will be arranged for a later date. Contributions in Victor’s name may be made to the UNC Hospice or the Southern Gerontological Society at https://www.southerngerontologicalsociety.org/.